Colombia, a country made famous not by its geographic beauty or cultural roots, but by its cocaine production and guerrilla troubles, is classified as of 2014 as “partly free” with a press freedom score of 53 (100 being the worst) and a legal environment of 26 (40 being the worst), according to the independent watchdog organization, Freedom House. The rights to freedom of speech and press deteriorated in 2002 when Colombians gave power to former president Alvaro Uribe Velez. Although the situation has improved, according to Reporters Without Borders, it is yet from pristine for a journalist, protestor or civilian wanting to express ideas. In 2003, according to the press freedom barometer, 43 journalists were killed; in 2008 that number rose to 64, a small yet impactful increase. By 2014 that number had diminished to five through March. Colombia went from being classified as a ‘not free’ country (2003) to ‘partly free’ in a decade, although it may seem a small accomplishment; this improvement speaks volumes for the Colombian reformation in speech and press protection. In 2008, Colombia was called “the most dangerous country for journalists in South America,” by Freedom House . Today thanks to talks between the Colombian government and the Revolutionary Armed Forces of Colombia (FARC) rebel group and organizations created to protect media members like The Committee to Protect Journalists (CPJ) and Fundacion para la Libertad de Prensa  the situation for journalist and the media has evolved. 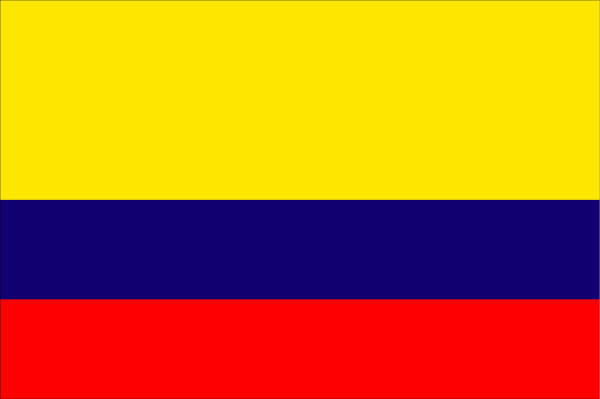 Colombia is located in South America and has an approximate population of 46 million. It is the third largest country after Brazil and Mexico in the southern Americas. Free speech in Colombia has been mentioned all throughout its political and structural history. Governmental and guerrilla groups have impacted Colombia’s definite adoption of free speech. The commitment to free speech continues to be limited and shaped by current events. The free speech issue was addressed with openness in the 1991 Constitution, which amplifies the rights and liberties of citizens. The Asamblea Nacional Constituyente found the right to life, intimacy, equality and expression among others as the main solution to the crisis in Colombia. Due to the newly found decentralization of the fiscal and political machine, citizens were able to participate in local, regional and even national issues. This led to the birth of interest groups, which are a form of free speech. Most of these groups focus on issues related to inequality and poverty due to the vast number of indigenous people that inhabit the country . The current situation in Colombia for free speech is rather promising. In March 2014, President Juan Manuel Santos signed a new Access to Information Law that places emphasis on proactive disclosure by government agencies through several mediums . This law will take effect within six months; this is a way for Colombian citizens to exercise their right to information as a fundamental right of liberty . This advance shows the progress and steps the government is taking to rescue a country and citizens that have been oppressed through history. It appears that Colombia’s new and improved legislation may make progress in the free speech arena. Drug trafficking is still an issue but it does not interfere with democracy or freedom of expression from civilians. According to Freedom House, an increasing amount of citizens are using social-networking websites (Facebook, Twitter) and digital communication is proving an effective tool against censorship. Free press issues have been crucial to the history of Colombia. The acknowledgment and protection of the press has always been an ideal behind the country’s democratic infrastructure but it hasn’t been assured at all times. Present day Colombia is still struggling with the long-time commitment to free press. The main issue with press in Colombia is that less than 30 years ago newspaper editors like Guillermo Cano from El Espectador was murdered and three years later, a cartel bombed the paper’s Bogota offices due to El Espectador’s denunciations of the drug cartels . Although freedom of press and TV were deeply respected constitutional rights, one regime that violated them was President Rojas Pinilla who suspended and censored the press. All newspapers other than, Diario Oficial, were privately owned and under no government restrains’, the press was free to publish and criticize government and its leaders. Almost every outlet was affiliated with the Liberal or Conservative party. During President Andres Pastrana’s administration, a former journalist, Colombia had more than forty successful newspapers. El Colombiano, Medellin’s conservative paper, had a circulation of 123,700, the largest circulation outside of Medellin. Citizens considered the newspaper as the major credible source of political information and critic. Although the country went through a period of glory in the press, the 1990s told a different story for freedom of press. Unofficial regulatory organizations, formed by political parties and economic interest groups and drug lords, started to apply strong pressure on the media. Columnist for El Tiempo, Daniel Samper Pizano, fled the country after his name appeared on a death list. Many similar cases happened during this time. The Kremlin, a secret group of Colombia’s leading journalists was created in order to publish anonymous reports through the media. Fortunately for journalists, those days are gone. The issue now in the country is not to stay alive but to stay out of the conflicts of interest that this newly found freedom of press brought with it. Media ownership is concentrated among elite families, causing controversy and sometimes corruption . Currently all print media in Colombia is privately owned and the government operates three public television stations, but still private networks dominate ratings. In 2012, a bill was passed mandating a 30 percent reduction in official advertising, with the purpose to fight corruption. Court decisions protecting journalists are scarce, but they do exist. Luis Agustin Gonzales was convicted for libel when he criticized the former governor of Cundinamarca. The editor was sentenced to 18 months in prison and had to pay $9.5 million dollars, equal to $5,450 pesos. In 2013, the Colombia Supreme Court decided to overturn his sentence, although the court still made it clear in their opinions that freedom of opinion was not absolute and that journalists could still be convicted for defamation . Although this decision is only a partial step forward, the court’s decision speaks volumes of the future of the Colombian press. This ruling opens the door for further decriminalization of libel and less censorship for the press. The right for press continues to be shaped in Colombia; a clear example of this is another case where the Supreme Court brought a lawsuit against a journalist for defamation. Cecilia Orozco Tascon, who has a popular column in Bogota’s El Espectador, criticizes the court for removing a magistrate form his position and also pointed out that the judges had earned their jobs as political favors. The court found these statements to be ‘denigrating’ and unfounded. The court scrutinized Maria Jimena Duzan, but did not sue her. Duzan wrote an editorial column about deferential treatment to politicians, like less severe prison sentences for officials who were convicted in comparison to regular civilians. The court denied the statement, once again, and took offense by the column. According to the Supreme Court the fundamental right of expression should not violate or abuse other rights like dignity, good name, image and honor, which are constitutional . These happenings are a clear example of the state in which the freedom of press is in Colombia. It is under construction, although it is mentioned in the Constitution, as a fundamental right, the interpretation of those words is no yet well defined by government. ‘The phrase ‘the land of the free’ as it is stated in The Star-Spangled Banner carries years of legal interpretation and court decisions. The United States has battled a long line of issues to gain the reputation that it is well known for: a free speech, free press country. To prove this, it is essential to compare it with other countries and analyze the similarities and differences. It is hard to find an issue as radical as paramilitary groups in the Unites States. The closest thing to a time flooded with social fear and economic despair was when President Abraham Lincoln used the power of his office to push Congress to abolish slavery. Although these two events seem distant in facts, in theory they exemplify the struggle a country had to go through before becoming a united front. The same applies to drug cartels; Colombia went through a time when people like Pablo Escobar ruled the social atmosphere of the country, which only led to the rise of guerrillas and oppression of ideas. It is hard to imagine a situation like this in America. The Access Information Law passed by President Santos in 2014 shows Colombia’s progress toward a more open and free society. In America it is believed that citizens have the right to know about government activities. It is established in the Freedom of Information Act that transparency is an integral part of a democracy and it is necessary to uphold a government accountable to its people. The FOIA and the Colombian Access Information Law are similar in that both enable citizens to request and receive information from their governing entities. The FOIA is a federal law that allows people to request information from the federal government , the Colombian law – guarantees all citizens a right to information on how public funds are spent-  For Colombia this law is a step toward a freer society. The big difference is that the United States passed the FOIA in 1974; Colombia approved this law in 2014. The issues of free press in Colombia vary a lot from those in the United States but there are some that are similar in nature. The Colombian Supreme Court in the Gonzales case overturned his sentence for criticizing the actions of a former governor, but did not decriminalize libel and defamation accusations stating that editorial columns and expression of opinion could lead to conviction when directed toward public figures. A similar concept was tested in NYT v. Sullivan (1964) a Supreme Court case that dealt with libel and defamations as well. The judges ruled that the First Amendment protects the publication of statements regarding the conduct of public officials, except those published with actual malice for example . As the United States protected free speech and free press, Colombia sided with the press but did not protect further press publications. Publishing commentary about the government in the South American country is still taboo and off limits for some press. The most recent issue regarding free press in Colombia once again deals with libel, but this time it has sparked more controversy. The Colombian Supreme Court filed a lawsuit against a journalist in March 2014; this has been seen as a major act of press oppression from the Colombian institution. The journalist (Tascon) wrote and commented on a column and should not be punished she was just commenting on the actions of public officials. According to the court opinion in NYT v. Sullivan this issue could be easily resolved, due to the fact that for public officials actual malice needs to be proven in a published work. Another case, Near v. Minnesota, can be used to compare the oppression the court is trying to impose on the journalist. Although in the Near v. Minnesota decision the U.S. Supreme Court sided with Near, the focus was prior restraint and the prevention from regularly publishing or circulating an “obscene, lewd, and lascivious” or a “malicious, scandalous and defamatory” newspaper or periodical was guilty of a nuisance, and could be stopped from further committing or maintaining the nuisance . The Colombian Supreme Court, in 2014, is trying to restrain the circulation of what it considers defamatory or scandalous nuisances. Colombian rights to free speech and free press have been acutely challenged through history. Expression of ideas has evolved from an ideology to a fundamental right, according to the constitution. The fault is in the actual protection and implementation of the right in society. Compared to the United States, Colombia lags decades behind regarding free speech and free press. It will be a while until the South American country can even commit to these rights in a similar fashion to the United States. The biggest plight for Colombia is the protection of a free press. Colombia will continue to grow. It survived a drug war. It may accomplish secure development of free speech and free press rights. “Ley de Transparencia”, Fundacion para la Libertad de Prensa, http://flip.org.co/es/content/presidente-santos-firma-ley-de-transparencia, (March, 25 2014). “Constitution of Colombia 1991”, Constitution Finder, http://confinder.richmond.edu/admin/docs/colombia_const2.pdf (March 19, 2014). Palacios Marco, Safford Frank, Colombia: Fragmented Land, Divided Society, ed. (New York, NY: Oxford University Press, 2002), 80-296. “Colombia in the 21st Century”, Britannica Academic Edition, http://www.britannica.com/EBchecked/topic/126016/Colombia/276435/Colombia-in-the-21st-century(March 25, 2013). Baquero, Celis, Gomez, Gomez, Gonzalez, Posada and Trujillo, Historia de Colombia: Todo lo que hay que saber,ed. (Bogota, Colombia: Taurus, 2006), 311-360. Federal Research Division, Colombia: A country study, ed. Rex. A. Hudson (Washington, DC: 2010), 249-300. “The New Colombia 2013”, Financial Times, http://www.ft.com/cms/s/0/621bcdfc-9de5-11e2-9ccc-00144feabdc0.html#axzz2x6K8YlfA(March, 21, 2014). “Press Freedom Index 2014”, Reporters without Borders, http://rsf.org/index2014/en-index2014.php, (March, 20,2014). Brandenburg v Ohio, 395 U.S. 444, (1969). Moloney, Anastasia, “Colombia enacts transparency law to fight corruption”, Thomson Reuters Foundation, March 13, 2014. ”First Amendment”, Legal Information Institute, http://www.law.cornell.edu/constitution/first_amendment, (March 26, 2014). Near v. Minnesota, 283 U.S. 697, 1931. NYT v. Sullivan, 376 U.S. 254, 1963.